kim watson ★ design ★ papercraft: Christmas crafting + FREE cutting file. 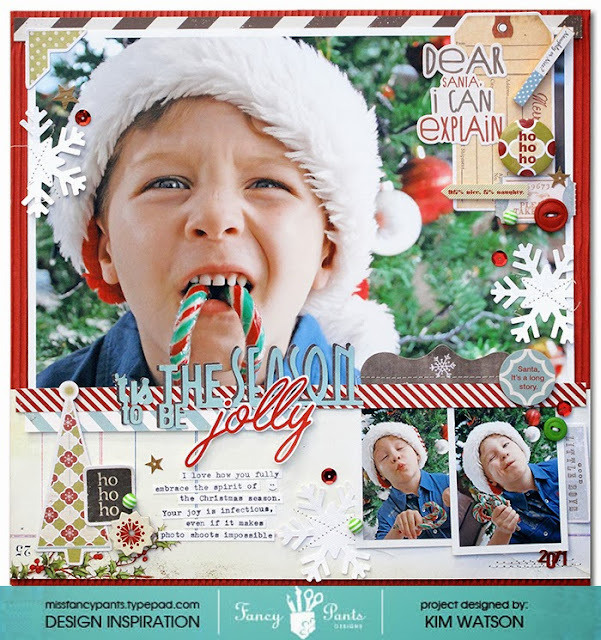 Christmas crafting + FREE cutting file. OK so I am having a ball with my Fancy Pants Christmas goodie box this week. I even managed x2 more pages yesterday amidst a school oral about mountains, roasting a chicken & piles of laundry! The busy-bug must be in the air now that it is finally getting warmer. Looking thought my Christmas photos, I realised I had tons of Mr M pulling funny faces. That red Santa hat seems to bring out the clown in him more than usual LOL. Tried a different approach with this one... large photo clusters of embellishments, layered multi colored title and pops of white creating breathing space. I am so happy with the result. 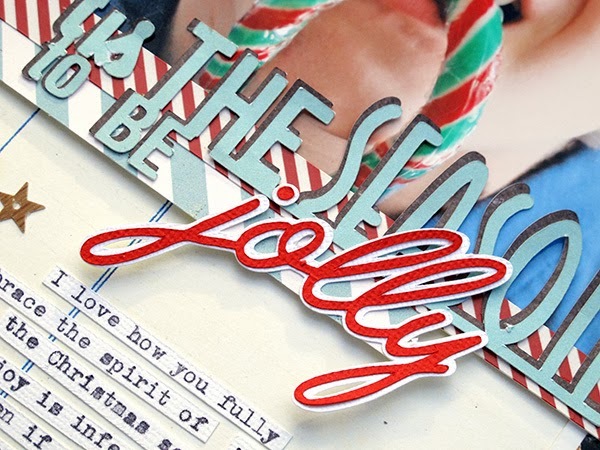 This title works well if cut in a couple of colors & layered for great dimension. ***I have a BONUS for all my sweet blog readers...a FREE cutting file to be used on your Silhouette or Cameo die cutting machines. Click on the image to grab the downloads. What an awesome layout, made me smile! Love the title and the cut file! Love the big photo very much too! Thanks for this wonderful cut file! Your page is beautiful and that funny guy makes me want to see more of his funny faces! Love the large photo on this layout Kim, and the cute clusters of embellishments!